After graduating from a Big Ten University, I thought I’d hit the ground of the real world running. I mean, I thought I could find the perfect job doing what I love and still live where I wanted. It was supposed to be a piece of cake. At least, that’s how I had pictured it. And I’m almost as sure as the sky is blue, that I’m not the only 22-year-old that thought this. Here’s my biggest problem, I have a past. I have 22 years of living on this perfect little dairy and grain farm in the middle of nowhere, Illinois. I’ve spent hours upon hours working show calves, hauling straw bales, and doing anything else that needed done while surrounded by family. Maybe it wasn’t supposed to happen, but it did. I fell in love with this simple way of life. There’s so much blood, sweat, and tears that go into it. But that’s part of the reason I love it. You can’t replace the feeling of getting an offer on your home raised show heifer. Or jumping in the pool after a long day of riding the wagon while putting up straw. There’s such a reward to be reaped after tackling these massive tasks. So, I’ve done the best to compromise. I took a job just 30 minutes from my home, not my dream job by any means. But hey, I’m not against working my way up the totem pole. The best part? I’m home every night to do what I so deeply love. I get home right in time to do chores. Which sounds crazy to 4 out of every 5 people that have heard this. “You mean, you go right home after work so you can work even more?” Why yes, yes I do. Here’s a little secret, this “extra work” that they are referring to doesn’t feel like work at all. It’s more like family bonding to me. I get to work alongside my Mom and Dad and uphold a family legacy. Where I’m from, it’s not that uncommon. Yes, some go off and take the “big league” jobs, yet every planting, harvesting, and calving season you know where they spend all their extra time? They make the long drives back home to do what they know the best, what they lay in bed and long for every night. Deep down, they too want to find the way to come back home. Because you grow up wanting to carry on the family profession. It’s 200 times harder than I ever imagined to juggle a job and still keep tabs on the farm, but it is well worth it. I couldn’t imagine what my life would be if I couldn’t look out the window every morning to see the bluest sky, cows meandering around, and corn fields as far as my eyes can see. And I know that I’ll never have to call any other life mine. It’s nearing the first of May. And for all farm kids, farmers, and farm wives that brings a LOT more than just a month left of school and summer quickly approaching. It doesn’t just imply April showers bring May flowers, either. It means long nights, early mornings, and seeing more “dirt” and seed than people. For most, the tractor seat turns into your best friend, and you listen to more radio than ever before. Yet, the chores at home, homework, and meals still have to happen, and it takes a saint to run food to the field for every meal and please cranky farmers with entrees that can be eaten with one hand in a bumpy field. Yet, where do the next generation of farmers, who are off at college, fit into this jigsaw puzzle that we lovingly call spring planting? It’s rough being a farm kid in a college town. The professors, school, and classmates just don’t seem to understand the blood, sweat, and tears that go into planting, much less how much we love it. It’s not just about getting the last field worked or seed in the ground; it’s about what will happen in the fall. How you think the harder you work to make planting go smoothly the better the chances at the biggest yield. Being away at school takes almost all of the fun out of it, though. You can’t smell the freshly turned dirt or rip open a bag of seed every day and night. The phone calls are more frequent as we constantly want to know what’s going on at the farm and how many acres are left. We count the days till Friday in hopes that the rain will hold off, and we too can get a little tractor time. I don’t think it has ever been so hard to be away. The deep passion that runs in farm kid’s blood is unmatched. Who else can say that they drive home for the weekend to get covered in dust or sit in a tractor for 12 hours straight? It’s not all about being there for the process; it’s being involved in the family legacy and taking on more of the responsibility, in hopes of showing dad or grandpa that we want to be just like them. While the stress of planting season isn’t easy for those at home on the farm, it’s even harder to be away. It just finally hit me. All these years I’ve wished I had a brother; someone that could be of more help to Dad. That could throw those top bales without having to try, or back the trailer up on the first try, not the second. Heck, he would probably have enough sense to wear pants while baling instead of shorts and ending up with cut-up legs the next day. Someone that would be the legacy of our family farm. Then I had an epiphany of sorts. It all makes sense! I’m glad we don’t have a brother. I wouldn’t be the girl I am today if I had been given a brother. I’ve had to fill those shoes. I’ve been the one to work alongside my Dad and feel pride every day, every hour, every minute of it. Would I feel the passion, pain, or puzzlement that comes with farming and dairying? I’ve learned so many things that a lot of girls don’t. I’ve never once heard that I couldn’t do a task on the farm because I was a girl. They simply told me how to do it, and it was known I would get it done. I’m so lucky to have a father and grandfather that didn’t hire extra outside help to do the chores because there were only daughters or granddaughters. They simply believed that I was as good as any boy could be, and the fact is now I am. Yes, it takes me a little longer to back the trailer up, and three tries to throw the bale on the top row of the rack wagon, but you can bet I’ll try until I get it done. I’ll never be told that I can’t do that; it’s a man’s job. It makes my heart burst with joy from being this farmer’s daughter. For me, my parents are living the dream. To be your own boss and bring your family together through your job; well, to me that’s worth more than any amount of zeros on a paycheck. For me, farming is the ultimate profession, it’s not about easy work or making millions, but about growing families, feeding the world, and making each child understand responsibility and planting the seed of agricultural passion inside them. If you aren’t from the dairying community, you may have never heard of World Dairy Expo (WDE), but you’re truly missing out. WDE is like Christmas for those in the dairy industry; heck, planning for the next year’s expo starts the day after it’s over, if not even before. WDE is the joining and intertwining of over 77,000 dairy producers, enthusiasts, and businesses from around the globe. It’s a weeklong event in Madison, Wisconsin that promises plenty of ice cream, cheese, and fun. Everyone has a favorite reason to go to Expo, but when it comes down to it, the main reason is to form an alliance of dairy farmers. A common group that will support each other and the interest of the dairy industry as well as promote the product of their toil to consumers throughout the world. Obviously, one of the biggest parts of World Dairy Expo is the cattle shows, but did you know that a plethora of other competitions exist at Expo? WDE offers a variety of competitions for visitors of all ages. There are three dairy judging competitions: 4-H, Post-Secondary, and Intercollegiate early in the week, where students get to show off their ability to place cattle and talk reasons to the judges. Reasons are the contestant’s opportunity to talk about why they placed the animals as they did. Contestants memorize a set of reasons and go into a room to present their points to a judge who gives them a score based off of the accuracy of their explanation. 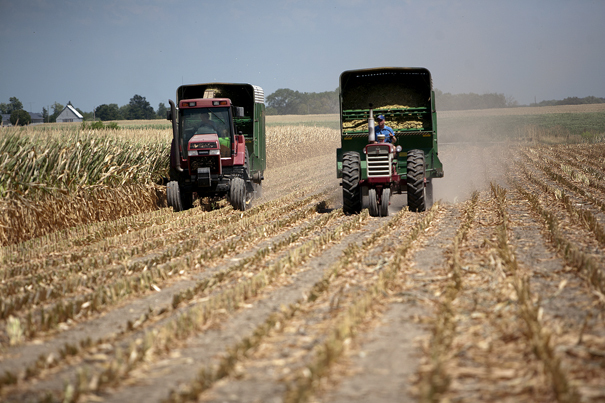 A forage competition is held for both corn silage and hay, allowing producers to show off their ability to make delicious and nutritious feed for their cows. A fitting contest is held to allow youth to showcase their ability to clip and style their animal’s hair. One of the contests I’d love to judge is the dairy products contest. Companies bring their dairy products to be scored, and the winning products are auctioned off. Expo is home to a trade show of over 850 dairy related companies; if this doesn’t thrill you, I don’t know what will! The companies come with their products and staff to communicate with the producers. Buildings are set up with aisle upon aisle of booths that have pens, candy, and other promotional materials for you to take and look into further. The amount of cutting edge technology and new products showcased at Expo is top notch. Dairy producers can talk to sales representatives about how they could implement these products on their farms to become more efficient and allow the cows to be more comfortable. Seminars are also hosted so producers can learn more about specific topics that they can take home to become more profitable. World Dairy Expo hosts six premiere cattle sales for visitors to take home new additions to their herds. With Expo being one of the top shows in the world, the cattle that sell are from some of the best bloodlines available and their pedigrees would bring excitement and marketability to any herd. Being able to find such a good looking and great pedigreed group of dairy females anywhere else would be hard to do. To me, this is one of the best parts of WDE. Getting to see friends from other states all in one place around the animals we love most is priceless. I’ve heard countless stories about friendships blossoming at Expo, which then serves as their one-week reunion each year. I know a couple who has a special place for Expo in their heart, as they got engaged their last year. Expo isn’t just about the cows and ribbons, it’s about the memories made and the time spent with friends and family. There is nothing more exhilarating than watching the Grand Champions walk in the ring for Supreme Champion selection on Saturday. The lights are down low, and each cow is introduced and spotlighted as she is escorted into the ring like a woman going to the dance. Most people couldn’t care less about the other things to do at WDE; they would be happy enough with plopping down in the Coliseum and watching those silky cows and heifers prance on the colored shavings for hours upon end. 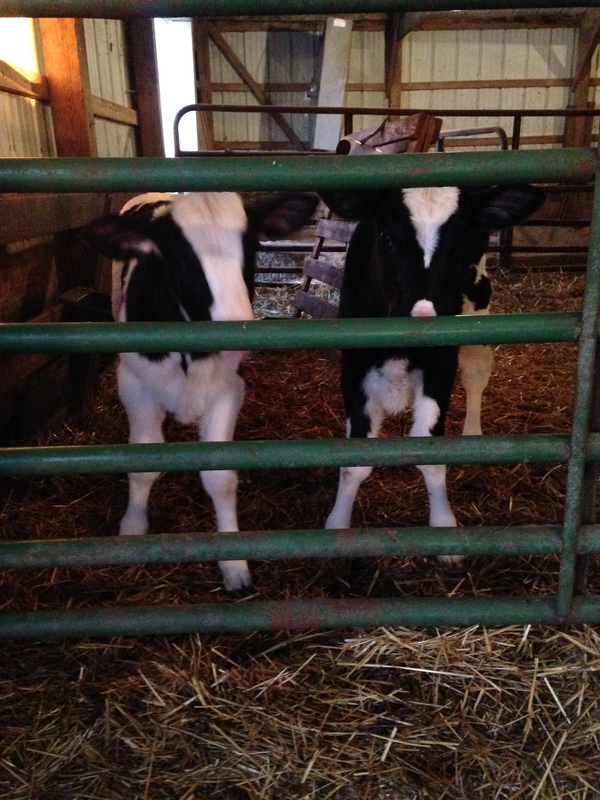 All in all, World Dairy Expo is much more than just a cow show. It’s where dairy farmers from around the globe come to meet and discuss the pressing issues of our industry. They get to form an alliance with others just like them. It’s their little home away from home that understands that sometimes cows just understand your problems better than people. Some people may not understand the importance of it, but to those who do it means everything. You walk into the grocery store, with a list that seems to be a mile-long in hand. You prepare to face the crowded aisles of others filling their carts to the brim so that they can avoid another trip to the store in the coming days or week. With dreams of a fast-paced grocery run, the shelves upon shelves of product options make the supposedly easy task seem like taking the ACT. Who knew there could be so many different types of “farming procedures?” Do you and I need to pay extra, sometimes almost twice the price, for the extra labels? Who are they marketing to with these labels? You and me? Children? Let’s look at some of these labels and marketing schemes more closely. 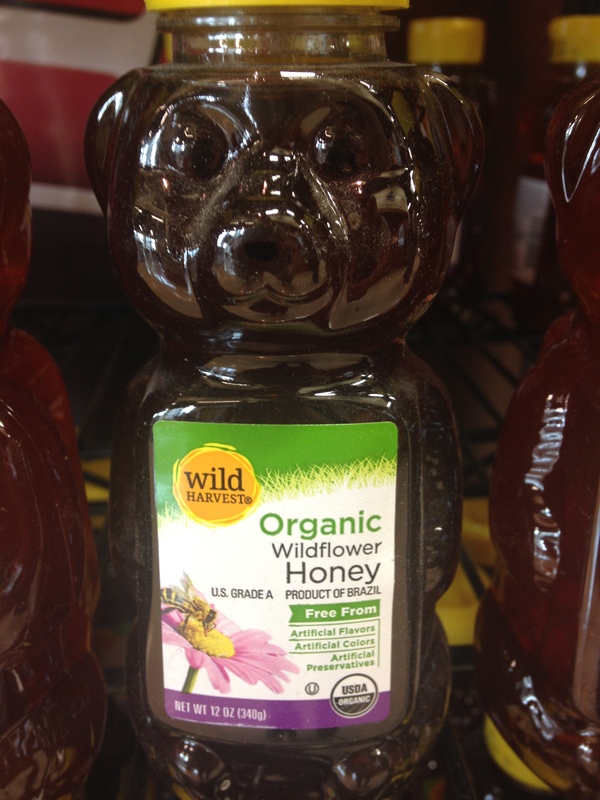 This honey from Brazil is USDA Organic, but that’s not the part that sticks out to me. I notice that it is wildflower honey; does this mean that the bees were only allowed to drink the nectar of wildflowers? And how are the bees confined to only the wildflowers, and not a neighboring garden of pristine planted petunias? That sounds a little too good to be true. Going Organic, More Like Going Broke! This AMAZED me! 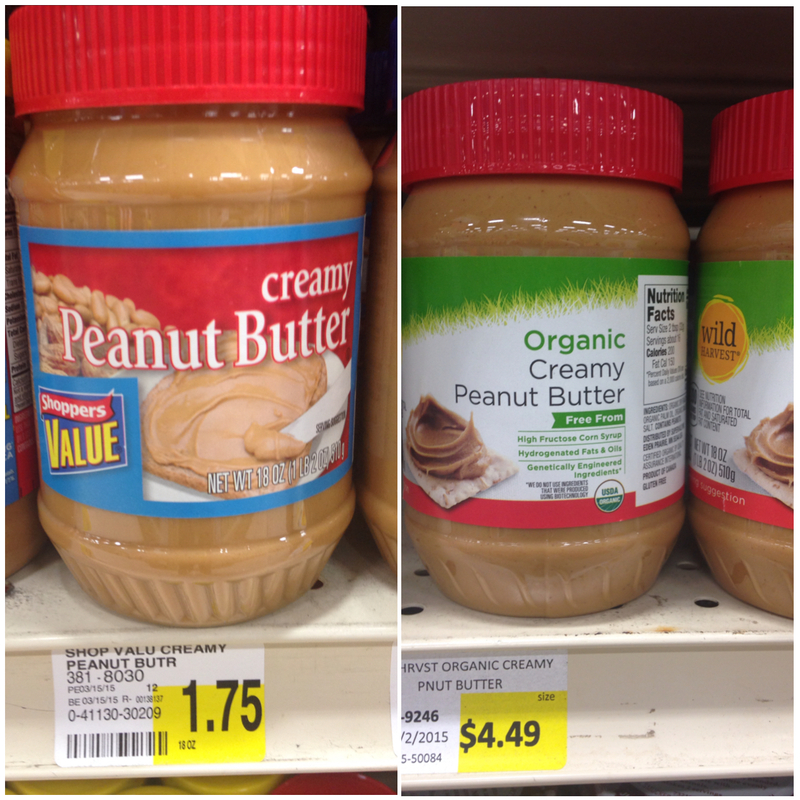 $2.74 difference between organic peanut butter and non-organic. Being a college student, I think of all of the other places that $2.74 could go; although it doesn’t seem like much, buying only organic items would add up very quickly. Harvard Medical School says that organic foods are not more nutritious than conventionally grown foods. 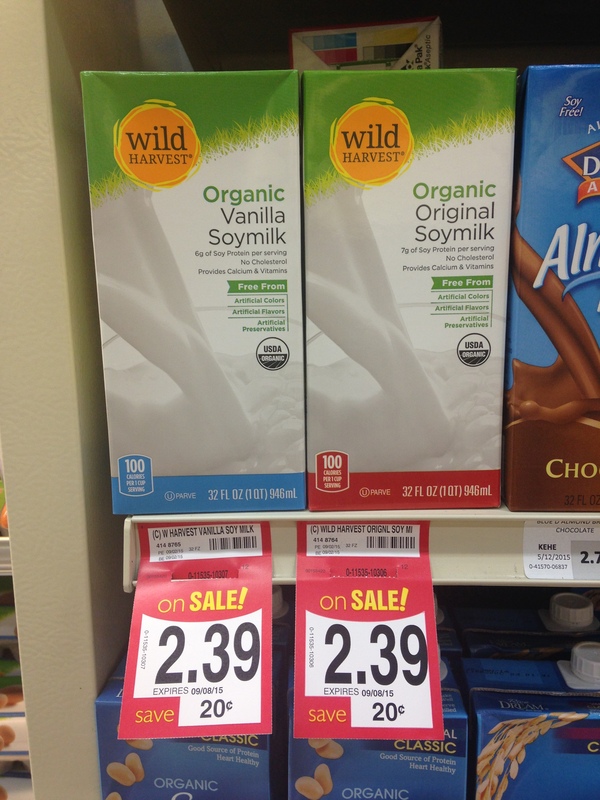 If the two products have the same nutritional value, what’s the point in paying more? 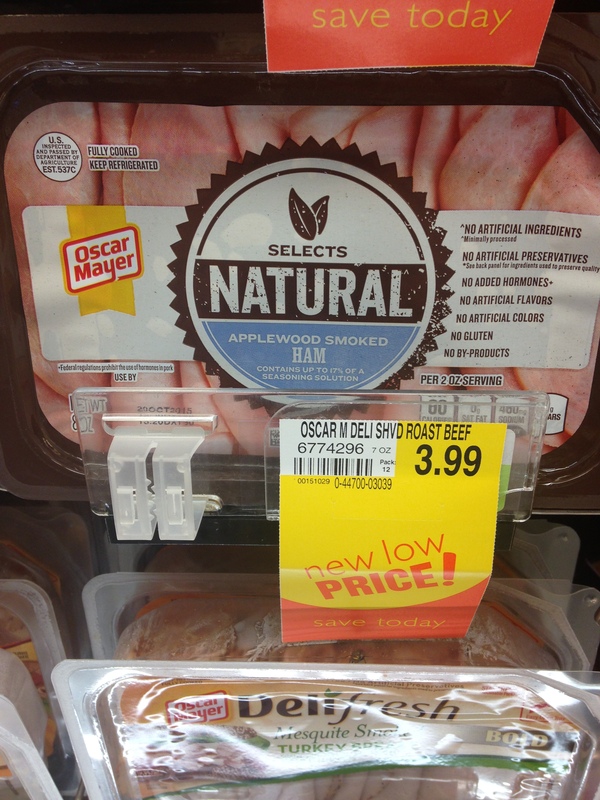 This ham is “natural.” Does that mean that there are pigs that are unnatural? There is also no gluten found in this ham, who would have guessed? 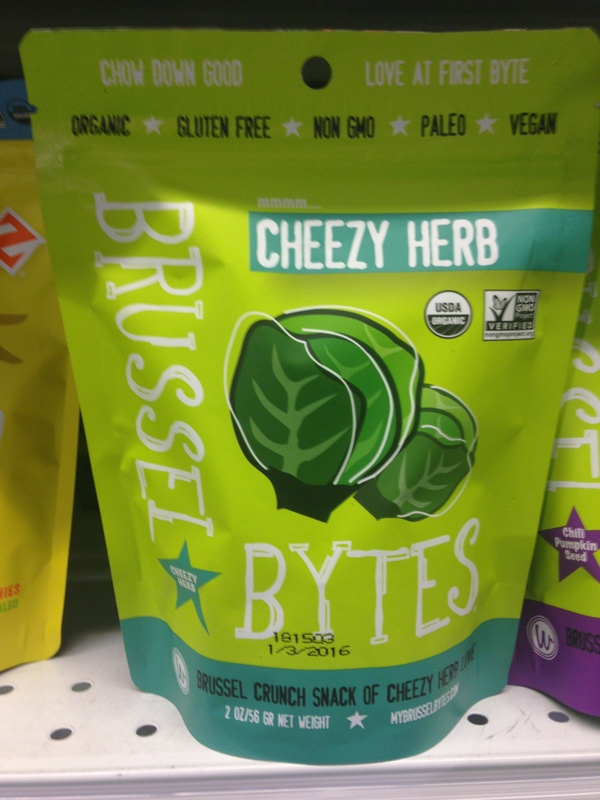 There is no gluten found in meat products unless they have a marinade or breading on them, so this is an example of disastrous food packaging. These shark steaks had to travel quite far to wind up in central Illinois. They are pointing out that the sharks were wild caught and not raised for their meat. 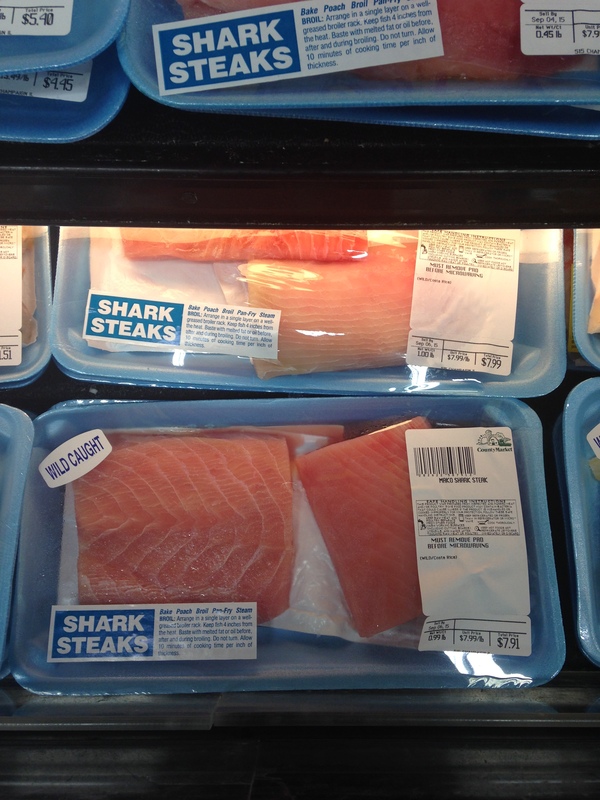 Would consumers be opposed to eating sharks raised for meat right here in Illinois? When was the last time anyone ate beef, pork, or chicken that was wild caught and not raised for its meat? As a dairy farmer, this hurts the most. My family milks our cows, yet I have yet to see anyone milk their soybeans. This soy beverage seems like an ironic food, and the cardboard box packaging isn’t helping it much. Who doesn’t remember the taste of “cardboard milk” from grade school, it was the worst! I for one believe that milk is to be found in the refrigerated section and in glass or plastic bottling. 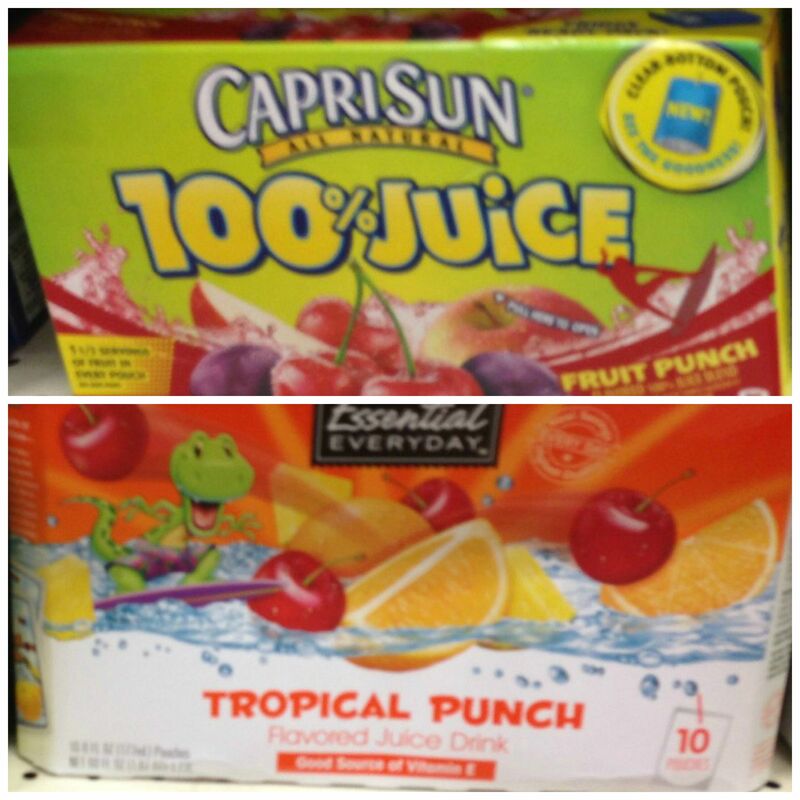 Here are two different drinks that I picture kids drinking at snack time. The top box says 100% Juice; I think that is what all moms want their children to be drinking. The bottom box says flavored juice drink, which sounds like chemical soup. The juice drink contains high fructose corn syrup and only 2% or less of each concentrated juice. 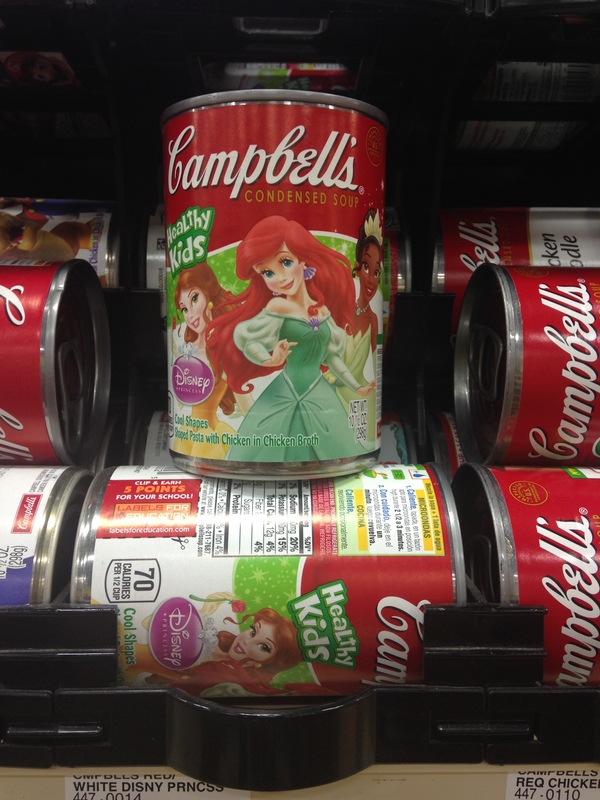 Now, what little girl wouldn’t want to eat princess soup? Here is a prime example of marketing to the kids. Traveling through the grocery store with a little one in tow is already challenging enough and having them throw a temper tantrum about getting special soup sounds like a battle that isn’t worth the time, or embarrassment. 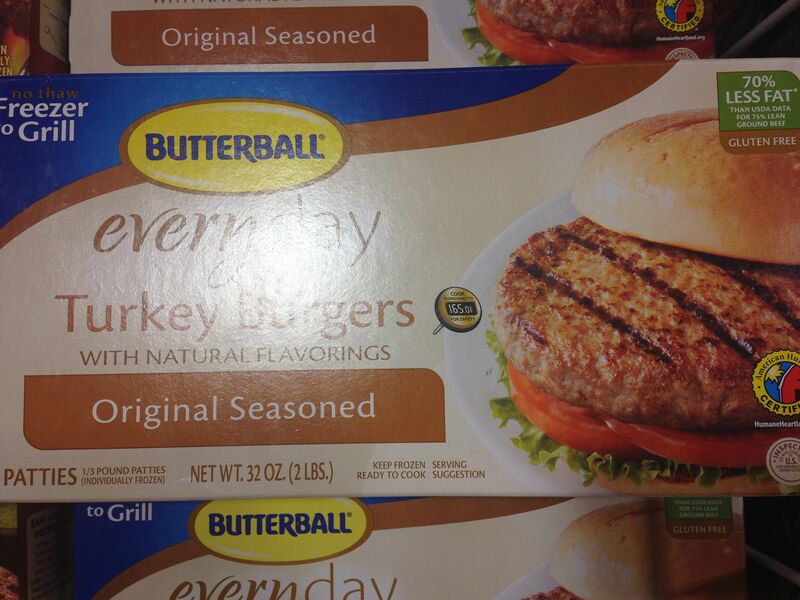 Turkey burgers with 70% less fat than 75% lean ground beef sound like a dieter’s dream. This box happens to have a label from The American Humane Certified™ program. This is a voluntary third party animal welfare audit program that is trying to set standards for the way that food animals are raised in the U.S. 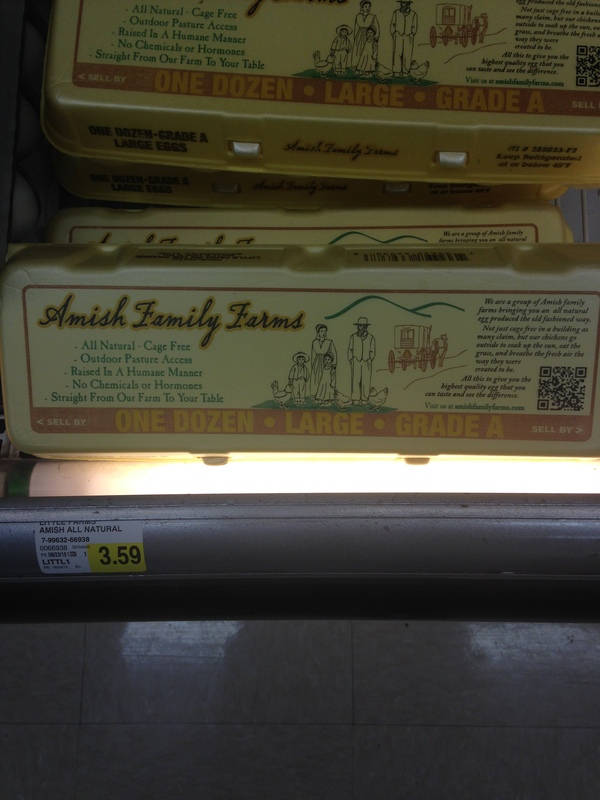 This label is confusing because I don’t know what the humane certification requirements are, and how do I know that other farms don’t also follow them? I and many other consumers make decisions in the grocery store on what to feed ourselves and our families. The number of confusing labels is alarming; I believe that the labeling process should be streamlined so that there is less confusion for shoppers. Especially due to the fact that the FDA does not regulate labeling such as hormone-free, non-GMO, or American Humane Certified. The FDA does regulate organic and gluten free labeling, but do shoppers truly know what those labels mean. Advocacy, what does this word really mean? For years I have been telling friends, family, and acquaintances that when I grow up and have a “real job” I want to be an advocate for agriculture (this is how I ended up with ag comm as my major). About how I want to share the story of what my mom and dad do everyday on our farm. How hardworking, determined, and kind-hearted they both are. Of all the farmers in our county who would help each other out at the drop of a hat. 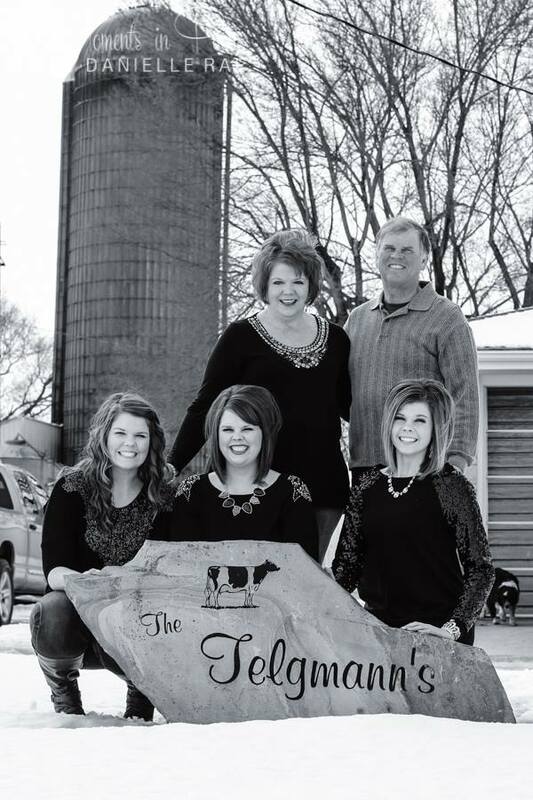 I want to give farmers, like my parents, a voice with the consumers, to show that they use the products and practices on their fields because they feel they are the most effective and productive ways to feed their families and other’s families, especially within the dairy industry. In ag comm class we went over a list of what it truly means to be an advocate. This list put it all into perspective for me, I hope it does the same for you. Advocates need to find a collective voice for the cause that they are passionate for. If multiple advocacy groups for the same cause push different facts for an issue, there is no consistency and publics will find material scattered and unbelievable. Members of the Illinois Farm Bureau exemplify this aspect. Each county in Illinois has a Farm Bureau office and their own county board. The board is elected from local farmers and represents what that area wants at the state level. This allows that county and state to have a uniform voice for their Farm Bureau members. To be an advocate means to speak for those who cannot speak for themselves. To me this means speaking for my dairy cows. Although I can’t talk to my cows, I believe I can tell when they are satisfied. Cows are unable to speak up to PETA activists in California, who want to restrict water resources to dairy farms due to the drought. Theses activists insist on a ban of all meat and dairy consumption in California. What would happen to all of the cattle residing in the state? Groups such as Illinois Corn Growers Association and Illinois Soybean Association are pathways for Illinois politicians to find information about the agriculture industry in our state. 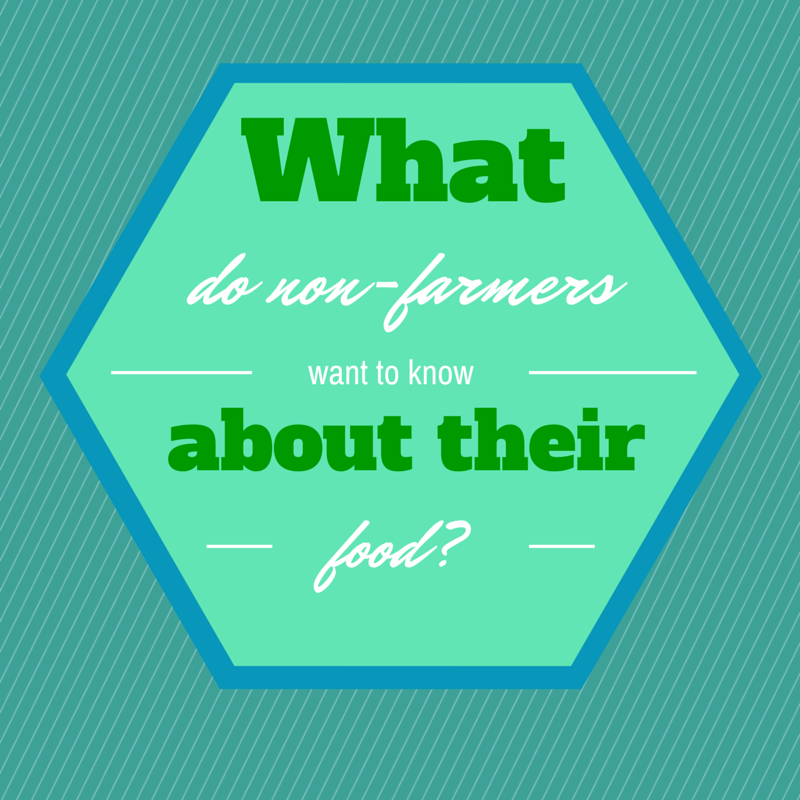 These advocacy groups compile information and help farmers to have a collective voice. Credibility of the two groups aids politicians in making decisions for the state, such as supporting the 2014 Farm Bill. According to the Bureau of Labor Statistics, the average American farmer is 57 years old. A 57 year old male doesn’t sound like a vulnerable population. To me they very well can be. I see my father being trampled on by others who aren’t farmers. They perceive him as a farmer with little education, when in fact he is quite intelligent and talented in his field. Allowing those who aren’t fond of public speaking to ask for assistance in sharing their story is advocacy. Most farmers don’t have a scientist on the farm to compute data so they can dispute claims from the public about GMO usage or other common complaints. Having a combined group to support the farmers allows for services that will make a larger impact in righting these false claims and sharing informational data. Advocacy is NO small task. Bringing a voice to vulnerable populations is a challenge. Backlash from opposing groups is almost always present. I’m ready for the fight for agriculture, how about you? Could there be antibiotics in this meat? What about this gallon of milk? These may be questions that run through your mind frequently while shopping at your grocery store. If you want to know the answer, the person to ask is your local farmer. Just like when your children get sick, farmers want to keep their animals healthy. The first step for your children and for animals is very similar. Farmers call the Veterinarian just like you would call the Doctor. Antibiotics are quite expensive for animals, so they are only used when necessary, not as a preventive measure. Farmers claim their animals as family, if they don’t take good care of their animals, then the animals won’t produce and the farmer will lose their profit. The USDA requires all beef, pork, poultry or milk headed for grocery store shelves or restaurants be tested and inspected by the Food Safety Inspection Service, to guarantee no antibiotic residues are in the meat. Farmers follow firm withdrawal policies for animals that were given antibiotics. This means that there is a certain amount of days after being treated with antibiotics before the animal can be slaughtered. Each antibiotic has a different time frame for the medicine to be expelled from the animal; this is listed on the label. When a farmer has been given the prescription from the Veterinarian, he follows the instructions just like you do at home. The farmer keeps records of when the animal was treated and keeps track of any symptoms the animal may still have. Dairy cows have a different challenge than beef cows, when a dairy cow is treated with antibiotics it is expelled through her milk. Dairy farmers have to keep very good records of when a cow was treated. When a milk cow is treated, most producers put colored ankle bands on the cow to ensure that they remember that she has been treated. 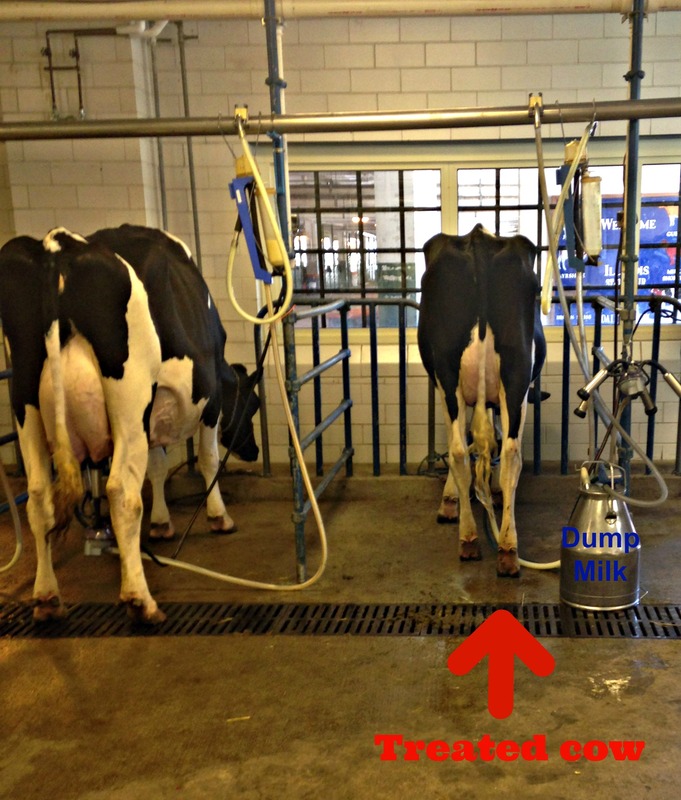 Once a treated cow comes into the parlor to be milked, a dump milk bucket is hooked up so that her milk will be completely separate from the milk that will be sold. Her milk all goes into the bucket and once she is finished milking, the milker unit is sanitized thoroughly. The bucket full of milk is then disposed of so that it doesn’t contaminate any other milk. The dump bucket is then sanitized so that it is clean. After the antibiotics have left the cows system, the farmer takes a milk sample and has it tested to make sure that she has no antibiotics left in her system. When the milk truck comes to a farm to pick up their milk, they also take a sample to make sure no antibiotics are present. As it turns out humans and their pets use TEN times more antibiotics than the Nation’s livestock. Farmers wouldn’t want to eat meat or drink milk with antibiotics in them, so they won’t sell antibiotic treated products to you!